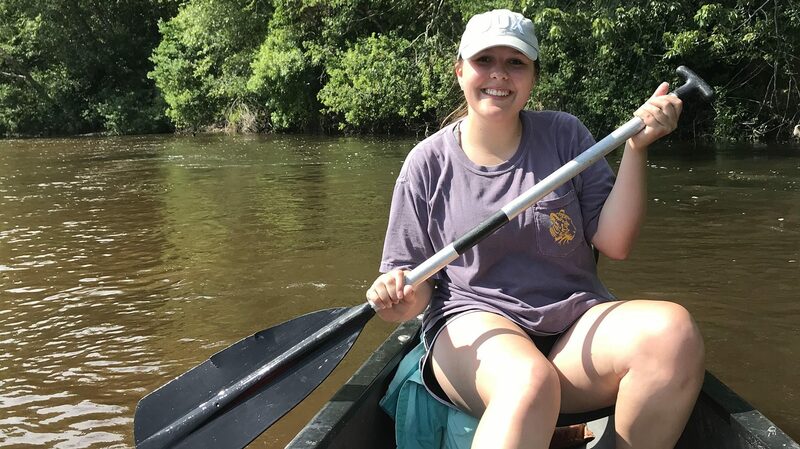 Understanding the importance of water quality and availability, a University of Mississippi engineering student participated in the Mississippi Water Security Institute, which took place May 13-27. Jordan Wescovich, a junior chemical engineering major from Ocean Springs, was among 17 students selected for the program. Students from Mississippi State University, Jackson State University, the University of Southern Mississippi and Mississippi Valley State University have also participated since the program’s inception in 2016. The institute was directed by Clifford Ochs, UM professor of biology. UM’s Sally McDonnell Barksdale Honors College hosted the two-week experience, which focused on water security issues of the Gulf Coast region. Participants represented a wide range of academic disciplines, from science and engineering to business and public policy. Funded by the Hearin Foundation of Jackson, the program’s overall purpose is to introduce honors students to the challenges and complexities of the use and management of water resources to meet present and future needs. Wescovich had the opportunity to learn about water issues in Oxford as well as in her hometown. “Our group spent time in both Oxford and Ocean Springs, learning the basics of water – including saltwater, freshwater and groundwater – from experts at Ole Miss and delved further into water issues that specifically affect the Gulf Coast while meeting with city officials, business owners, government agencies and residents along the coast,” she said. At the end of the program, Wescovich presented a TED Talk titled “Transparency in Turbidity – What Are We Owed in What We Know?” This presentation, in conjunction with work from the entire group of student participants, comprised the 2018 Mississippi Water Security Institute white paper. The document was sent to the program’s collaborators and state leadership, including the Hearin Foundation and the Governor’s Office. According to Wescovich, each of the WSI fellows came into the program with different notions of how to approach the issues surrounding water security as well as different goals of what to take away from the experience. In addition to her participation in WSI, Wescovich is secretary of the Ole Miss student chapter of the American Institute of Chemical Engineers and a member of the AIChE car team. She also participated in the UM PULSE Leadership conference as a sophomore. Wescovich hopes to work toward more environmental-friendly and efficient chemical processes that are profitable and at the same time leave the environment virtually untouched. “I would really enjoy doing this on the Mississippi Gulf Coast, where fragile estuary systems deserve extra protection from human activity,” she said.